Privacy and security of data has always been a priority. 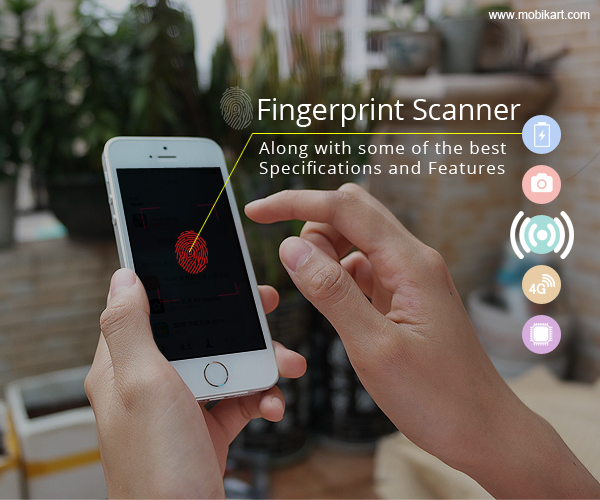 With new trend of having smart unlocking in the mobile industry, users are looking for the best mobiles with Finger print scanner technology. Here is a list of smartphones which offer Fingerprint scanner along with some of the best specifications and features. Did you know who came up with the idea to incorporate the fingerprint scanner in Mobiles? 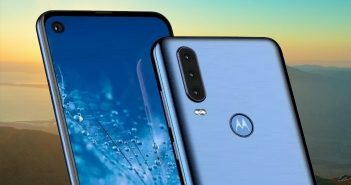 It was Motorola, the first company to offer this facility in its flagship Smartphone. Apple followed Motorola adding a fingerprint reader in its Flagship phone iPhone 5s in 2013. Apple named this feature as Touch ID. Soon HTC, Samsung, Sony and LG delivered this feature in their high-end devices. So, here is our list of Fingerprint reader enabled Smartphone. Go through each of them and select which is the best one that suits your personality, budget and security issues. Galaxy S7 and S7 Edge flaunt elegant and appealing metallic designs. Their designs are quite ingenious, head-turning and magnificently graceful. You may call them love-at-first-sight capable designs. Both devices come packed with Snapdragon 820, and 4GB of RAM. Galaxy S7 has a 5.1 inches QHD display, while S7 Edge has a larger 5.5 inches display with same resolution. Both smartphones are IP68-certified water and dust resistant and are protected with Gorilla Glass 4 on either panel. Fingerprint scanner is studded on the rear panel at home button of both devices. One single line that describes Xiaomi Redmi Note 3 is -“Affordable, Powerful, Elegant and Stunning”. This Chinese Smartphone is the first touch-sensor phone at a very decent price. Powered by a mighty Helio X10 octacore CPU and 3GB of RAM, Xiaomi Redmi Note 3 has 13 MP primary and 5MP of a front camera. It also has installed a massive 4000 mAh battery keeping the heavy-usage of phone in mind. All that features makes the phone a really amazing choice. After the success of the K3 Note in India, Lenovo launched the K4 Note. The company has revamped the design of the Smartphone totally and it sports a 5.5-inch with Full HD resolution. The K4 Note is powered by an octa-core MediaTek 6753 SoC and that comes supported with 3GB RAM. It has a 13MP primary camera and a 5MP secondary camera. The K4 Note also features the fingerprint scanner on the rear. The device offers 16GB of onboard storage that can be further expanded. Powered by the mightiest SoC, Snapdragon 820 and 4GB of RAM, LG G5 Smartphone offers a dedicated 200GB expandable memory slot to appease bytes-hungry customers. Another astonishing and captivating feature of this device is its fingerprint scanner, dual rear cameras, 16MP+8MP. 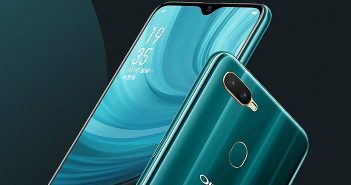 Its second 8MP camera features a 135-degree wide-angle lens that will help users to easily capture wider and taller area. LG G5 has a 5.3 inches Quad-HD display, guarded by corning Gorilla glass & is powered by a 2800mAh battery. Xperia Z5 which is a dust and waterproof IP68 certified phone draws power from a Snapdragon 810 CPU and comes with 3GB of RAM. It has 32GB internal memory and up to 200GB dedicated memory slot. The fingerprint scanner is mounted on its right side combined with power button. It sports a 23MP primary camera on its rear panel while just a 5.1MP camera on the front. Xperia Z5 Premium comes with a rare 4K display or ultra-HD and is the only ultra-HD display Smartphone at the moment. LeEco Le 1s is a new variant of its Le 1s smartphone in India. The ‘Made for India’ and ‘Made in India’ smartphone will feature support for 10 Indian languages. Featuring a 5.5-inch full-HD, the Android 5.0 Lollipop-based LeEco Le 1s Eco runs the company’s EUI interface, and is powered by an 64-bit octa-core processor coupled with 3GB of RAM. 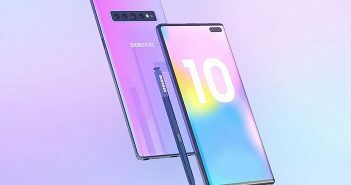 The smartphone sports a 13-megapixel rear camera with flash, and a 5-megapixel front-facing camera. It bears a 3000mAh battery and offers Fingerprint Sensor technology. Apart from 4G LTE, LeEco Le 1s Eco offers Wi-Fi, Bluetooth, 3.5mm audio jack, USB Type-C, and Infrared connectivity support.